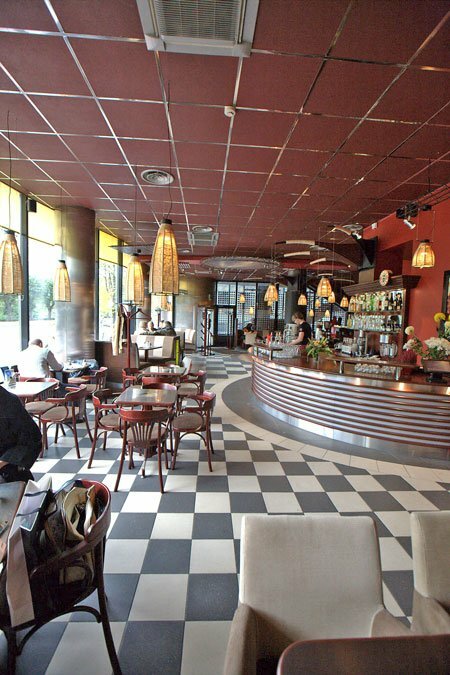 This successful local café chain offers more in the name of lunch, alcoholic cocktails and desserts. 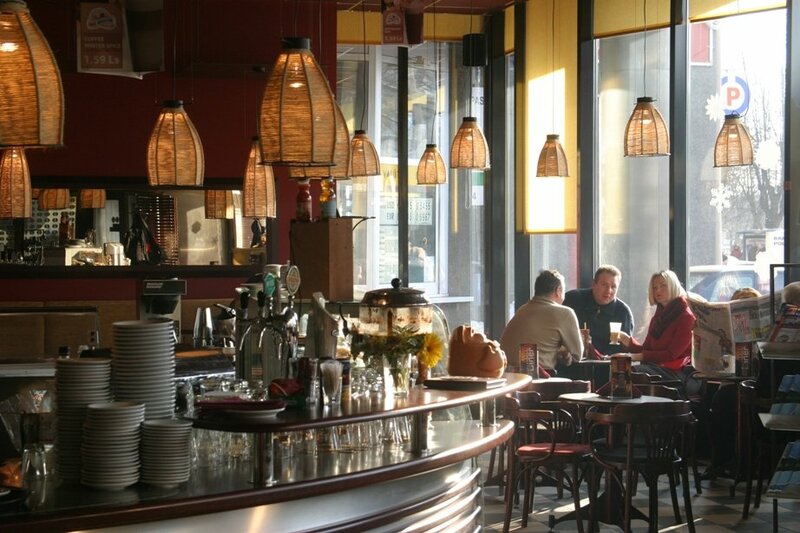 Service can be slow, but these cafes are conveniently located all over town. Double Coffee is one of the biggest players in town. 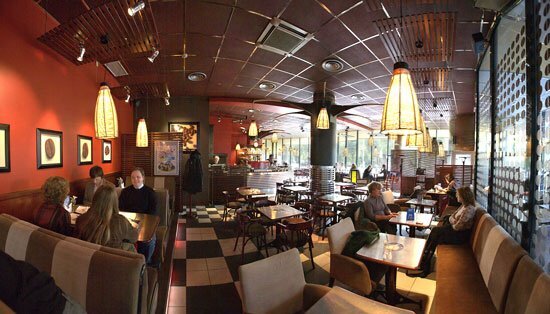 The chain has grown to over 18 locations in Riga, and now has started adding special locations that specialize in food as well, like the one they have just opened on Valdemāra and Dzirnavu. 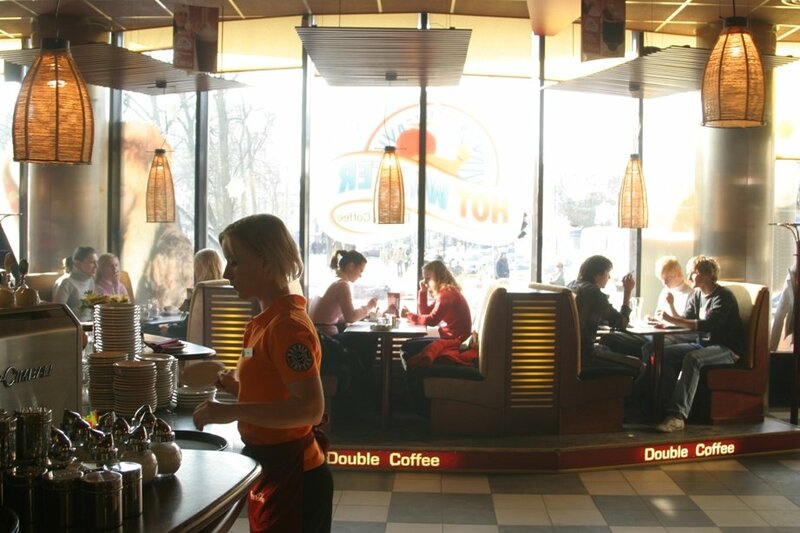 In 2002 Riga’s Top Retailer Award’s jury recognized the franchise as Rigas best coffee retailer. The jury cited excellence in service as just one of the reasons it bestowed Double Coffee with this honor. Although quality service is important, it is really the quality coffee that keeps people coming back to Double Coffee. 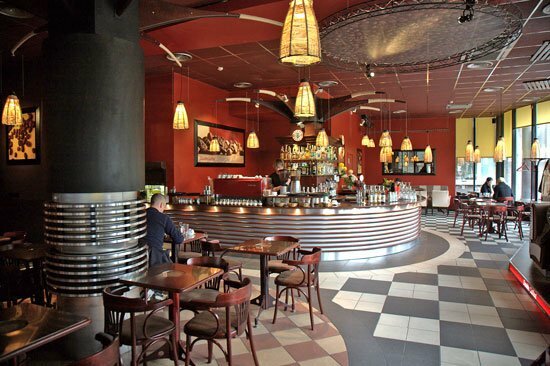 Specializing in espresso and cappuccino yet also serving a wide variety of coffees from around the globe means that there is something for every taste. has WiFi great for getting the car fixed.